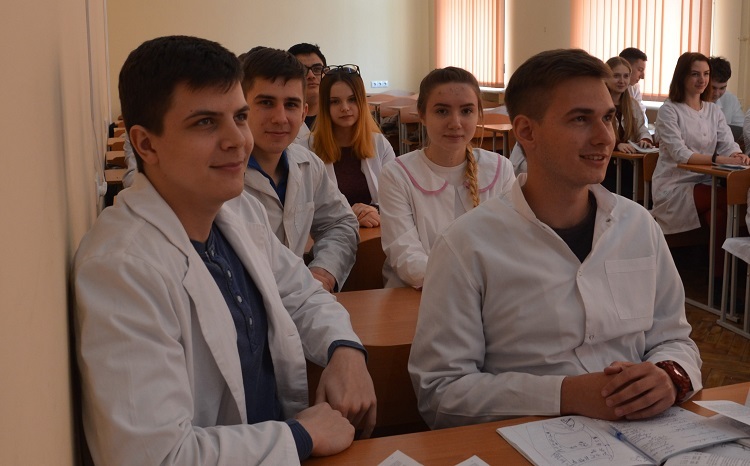 On the basis of the Department of Human Anatomy of the School of Medicine, V. N. Karazin Kharkiv National University, continues to conduct student scientific seminars as part of the student society of the normal human anatomy. In the second semester of this academic year, within the society, a series of scientific seminars with the participation of domestic students was held. The first seminar was held on March 13, 2013 and was devoted to the topic of variant anatomy and abnormalities of the development of the urinary tract. The second seminar was held on 10/04/2018. The main areas of the lectern reports were the development of the brain and spinal cord in embryogenesis, anatomical and functional characteristics of the sensory organs. The third seminar was held on 05/05/2018. The main directions of the reports were: a general characteristic of cranial nerves, vegetative nodes of the head. The fourth seminar was held on 05/29/2018. He was dedicated to the issues of variant anatomy of arteries, blood supplying the brain.